A decade ago, I would never have said much about wines from Abruzzo or Molise, except for those from a handful of producers. And even in those few cases, save for Valentini (first without equals), I wouldn’t have done so in the generally glowing terms I use today. For Abruzzo’s and Molise’s white wines were generally neutral and oxidized quickly, while their fruit-challenged reds were often too tannic and tough when they weren’t flawed. And the more expensive and hyped reds were overoaked and overripe. How things change! What used to be a region most noteworthy for inexpensive Sunday garden party and barbecue quaffers is now the smart buyer’s address for wines that are not just inexpensive and good but at times downright exciting. Molise is also improving its vinous offerings, albeit at a much slower pace and in slightly less convincing fashion. But there are encouraging signs here too. 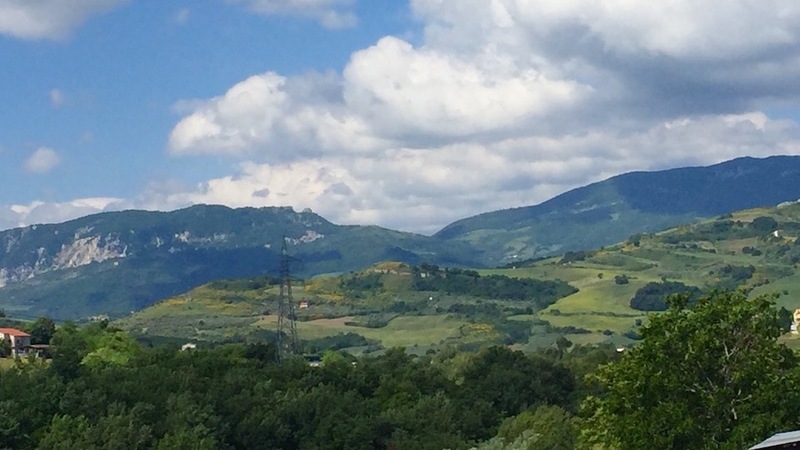 Two key factors explain Abruzzo’s emergence from the doldrums. First and foremost has been the realization on the part of many wine producers that Abruzzo is replete with grape varieties that grow only there, and for centuries at that—wine grapes that speak of Abruzzo in a way that international varieties such as Cabernet Sauvignon, Merlot and Chardonnay cannot. It follows that wines made with such grapes can potentially offer interesting, unique aromas and flavors not found in wines made elsewhere in the world. Clearly, achieving distinctive wines with the likes of, for example, Passerina or the even less well-known Cococciola is a work in progress. However, it is encouraging that our knowledge of Abruzzo’s varieties is far better today than it has ever been; it is undeniable that Pecorino has been a remarkable success story and that Trebbiano Abruzzese’s charms are being increasingly appreciated by wine lovers and experts alike. Just as important is the understanding that speaking of Trebbiano grapes and wines generically is not just useless but wrong: there’s really no such thing as a “Trebbiano.” In Italy, there are at least seven different Trebbiano varieties, and they all yield very different wines. The second key factor has been improvements in both vineyard and cellar techniques tailored to each variety, which are now allowing each cultivar to show what it has to offer to fullest effect. Clearly, this is an essential step in the production of wines that might turn out to be remarkable not just for being different but possibly for world-class quality too. The best example of this positive development in modern-day Abruzzo wine is Montepulciano, the wines of which have never been as good as they are today. Growers now understand that this cultivar benefits from the longest hang time possible, as Montepulciano’s pips have tannins that reach physiological maturity only very late in the season. Furthermore, while Montepulciano wines were once aged in oak—and even barrel-fermented—to increase oxygenation in an effort to reduce gamey and funky aromas and flavors (Montepulciano is a highly reductive variety), nowadays much more stringent selection of healthier grapes with intact skins as well as lower and steadier fermentation temperatures have helped to produce cleaner wines. These steps have also enabled winemakers to reduce the use of oak, thereby allowing Montepulciano’s dark red cherry and violet flavors to shine brighter than ever before. Changes in pumpover regimes (know as rimontaggio in Italian, or remontage in French) have been especially helpful. Pumpovers involve taking grape juice or must from the bottom of a tank and pumping it over the cap of grape skins floating on the top, in order to extract more color, increase flavor and even out the wine’s temperature within the tank. With Montepulciano, the recent introduction of open-top fermenters has been an especially important development, as this has allowed for greater oxygenation of the must and has enabled winemakers to cut back on their use of oak. In fact, many high-quality Montepulciano d’Abruzzo wines today see no oak whatsoever. Although this is an exciting time for Abruzzo wine, a few alarm bells can be heard in the distance. As is the case virtually everywhere else in the world, when a wine becomes fashionable, everyone wants to jump on the bandwagon. Abruzzo’s Pecorino has been Italy’s hottest white wine over the past ten years. This has led to a plethora of new bottlings, but not all of them taste the way Pecorino wines should. Pecorino is a low-yielding mountain variety that likes cool weather. Thus, planting it by the seaside and pushing it to yield waterfalls of wine cannot possibly lead to classic examples. But such bottlings are labeled Pecorino anyway, and so it behooves wine lovers and professionals to know the basic characteristics of each grape variety and the wines it makes. Obvious differences in aromas and flavors of wines said to be made with the same grape variety are not always simply due to individual winemaker creatività, different “clones” or diverse soil types, even if that is what producers frequently maintain. Furthermore, widely diverse results can also be obtained by varying harvest times, and not just to achieve more or less total acidity. For example, with some grape varieties such as Pecorino, harvesting early in the season yields wines that are more characterized by sage and fresh citrus aromas and flavors, while the same grapes harvested two weeks or more later can produce richer, fuller-bodied wines redolent of yellow peach. Interestingly, this is true of Pecorino but not of Trebbiano Abruzzese—thus the importance of knowing what a given grape variety can and cannot give. Molise’s viticulture and winemaking, like Abruzzo’s, has improved significantly over the last ten years. Its wines are not only more characterful and cleaner but producers are also paying greater attention to local varieties such as Cococciola and Tintilia, as well as doing a better job of matching varieties to suitable terroirs. Now, interesting high-altitude Sauvignon Blancs are being produced, as are increasingly promising Tintilia wines, a semi-aromatic red grape variety with real potential. Unfortunately, the many international grapes that were planted decades ago to cash in on their wide popularity, and even native varieties that were not traditional to the area, such as Falanghina and Fiano, give mostly wines of very little interest. But I am optimistic that Molise’s wines will have more and more to say in the future. The 2016 vintage was a cold one. The year began with an unusually warm winter, which led to an early budburst, but then disaster struck when frost hit hard in late April. Summer was more or less normal but August was cool and September was marred by rain right around the time of the white grape harvest. But the vintage’s red wines look especially promising, as the red grapes were generally harvested after the rainy period. Clearly, vintage charts can provide only general information, because weather patterns can vary significantly from area to area within a region. However, their utility can be increased greatly if you know a little something of a region’s sub-zones and the cultivars themselves. For example, it is no coincidence that Pecorino performed especially well in the Colline Teramane area of Abruzzo in 2016, where producers such as Emidio Pepe made some of their best Pecorino wines ever. The Colline Teramane is characterized by generally hot weather, but Pecorino does not do well under these conditions, and the grape likes non-stop heat in August even less, as its sugars climb fast, often forcing producers to pick it prior to full physiological maturity. It follows that the cooler season of 2016 gave better results. With few exceptions, though, the 2016 whites are not exciting; generally speaking, the 2013s, 2014s and 2015s are more interesting. For the most part, the 2016 whites speak of commercial yeasts: I repeatedly found banana and other tropical fruit aromas and flavors, even in wines that rarely express these characteristics, while the reds are much more promising. The 2015 vintage was a much better year in Abruzzo and Molise, mainly because of fairly regular weather during, not extremes during most of the vines’ growing cycle. In September, hot winds and generally high temperatures caused grapes in some areas to build up sugars too quickly (Montepulciano especially) and even to dehydrate on the vines, which forced some producers to harvest sooner than they would have liked, and before tannins had reached full maturity. The 2014 vintage featured high rainfall totals and for this reason has always had an image problem. But although it was rainy, 2014 was not especially cold and thus late-ripening varieties were able to reach full maturity. Those producers who practiced strategic crop-thinning and strict selection at harvest were able to make outstanding white and rosé wines, the latter a very important category in Abruzzo, as the region’s Cerasuolo d’Abruzzo wines are arguably Italy’s best rosatos. I tasted all of the wines in this report in Rome during April and May of this year.